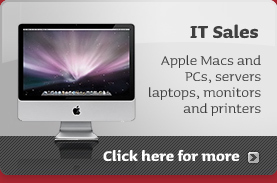 Here at Them Digital we provide a full range of IT support services to clients in greater and central London. If you are looking to outsource your IT support, read on for information on how we can help you. All businesses these days rely on IT to some degree or another. Computers are used for sending and receiving emails, storing data, recording sales information, creating proposals, managing client's contact information, preparing staff rosters and many other crucial business tasks. When your company's IT systems are not functioning properly, it seriously disrupts the running of your business, creating frustration amongst staff and problems completing work – both affecting business productivity. It is therefore essential to have adequate support in place to minimise downtime and in the event of a problem, deal with it as quickly as possible. Many small businesses can't afford to have an IT department to deal with problems as they arise. They instead find it far more cost effective to outsource their IT support to a specialist company who can get them back up and running as and when they need it. Outsourced IT support services are not just reactive however. IT support can also work pro actively with your company to ensure that the correct IT infrastructure is in place so that your business is highly efficient on a day to day basis and is able to expand. Services can be provided such as routine maintenance and system overhauls to avoid expensive downtime, purchasing and installing of equipment and software and setting up various hosted services such as cloud computing, VoIP or offsite email/spam filtering. Outsourcing is the preferred option for many businesses – whether they are small or medium sized. It enables them to enjoy a high standard of expertise as and when they need it, only paying for support time used. Many problems can be solved remotely and IT support contracts usually offer guaranteed call out times for on site hardware or software visits. Another benefit is that independent support engineers often have much wider experience from working with a variety of businesses across different sectors. Here at Them Digital we will help you get the best from your IT systems and provide all of the expertise an in-house support team could offer, with out the full-time price tag. Whether you want pay as you go support or a regular support contract, we've got support plans to suit all requirements. Based in central London we are the convenient choice for clients in both central and greater London and offer guaranteed support times of 4-8 hours depending on the contact chosen. We aim to feel like part of your team – and will always be there when you need us. Do not wait until you have an IT problem that needs fixing! Contact us today for a free discussion on how we can support your business and help to keep it running smoothly.